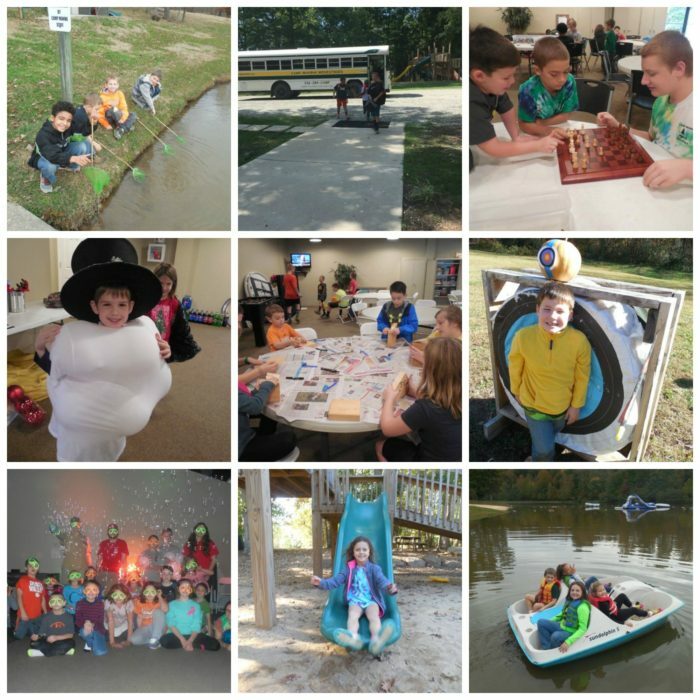 Camp Manna offers many fun activities throughout the school year. We have an exceptional after school care program. We are also open on teacher workdays, early release days and during Spring Break. Scroll down to find registration forms and more info on each of these fun activities! Camp Manna offers after school care, teacher work day and early release day care! We operate on a daily basis so you can attend as little or as much as you need! *See our Inclement Weather Plan for details about operations during school delays and/or closings. 1. Download the registration form for school year activities using the link above (after school, teacher work days, early release, spring break camp). 4. Call our office at 336.284.2267 for more information. A multiple child discount is given to week long attenders and teacher work days ONLY. Daily attenders will not receive a multiple child discount. If you pay per month you will receive all teacher workdays and early release days included in your monthly Price. We will provide a Mocksville Drop-off Location at the Davie County Public Library Parking Lot each afternoon. There is an additional $5/week fee for this service. Teacher Workdays are an extra $2 per day. Students will arrive at the Library between 5:30 -5:45 pm. Holidays / Break Days we are CLOSED: Labor Day (Sept 3rd), Veterans Day (Nov 9th), Thanksgiving (Nov 21-23) Christmas (Dec.24-31st ). New Years (Jan 1), Martin Luther King Day (January 21st) (we may open Jan20th if registration numbers are higher, check with office for accurate info), Good Friday & Easter Monday (April 19th-22nd) and Memorial Day (May 27th). Our Camp Facility runs all year long (Summer Day, Afterschool Care, and weekend rentals) therefore we provide our staff with a few days off during recognized holidays. Thank you! We are currently picking up at Cooleemee, Cornatzer, Mocksville, and South Davie Middle School. Students are picked up by van or bus from their school and brought to camp manna. We provide snack, then homework time and of course, lots of FUN around the facility at Camp Manna!! We have homework time everyday except on Friday! Friday is FREE DAY all afternoon! We have a set 30 minutes for homework time. Once your child completes his/her homework they will go outside and play until all other children have completed their homework or homework time is completed (weather permitting). If you would prefer that your child do their homework at home with you, please let us know, otherwise we will work with them to complete their homework during our homework time. WHY DO WE DO AFTER SCHOOL CARE? Camp Manna started after school care to provide a Christ-centered, positive and encouraging place for parents to send their students after school. We believe that investing in the lives of children is a direct way to invest in the future of our community. We believe that after school care should be fun and relaxing. Students benefit from an atmosphere of play and recreation. We also believe in supporting their educational goals. That’s why we provide homework help and designated homework time. Our staff and volunteers are dedicated to providing a safe and loving atmosphere! WHAT DO WE DO ON EARLY RELEASE DAYS? Students will have homework time, get a snack, extra playtime and sometimes we do crafts, boating, hiking, etc. WHAT DO WE DO ON TEACHER WORKDAYS? We are a Christian based organization and will promote good character, appropriate language, positive atmosphere and overall Christian conduct. You only pay the registration fee once ($15). Once you are registered you can attend as much or little as you need. You will need to pack a lunch for teacher work days. We will provide a snack morning and afternoon. Please wear old clothes and tennis shoes on teacher workdays. We like for the kids to play outside, go on group hikes, etc.